Vibration-absorbing fork Electric Bicycle has good support in the face of bumpy ground can calmly face. Coupled with the use of mountain-specific particle tires, non-slip wear has become a major bright spot. Rim Spokes Motor Wheel Electric Bicycle wheel toughness, good elasticity, good impact resistance. Looking for ideal Rim Spokes Motor Wheel Electric Bicycle Manufacturer & supplier ? We have a wide selection at great prices to help you get creative. 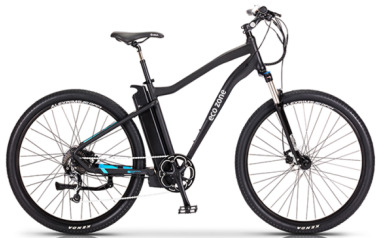 All the Shock Absorption Fork Electric Bicycle are quality guaranteed. We are China Origin Factory of Mountain-specific Particle Electric Bicycle. If you have any question, please feel free to contact us.